Food Drive and Car Show This Saturday! Just a reminder this Saturday from 10:30-2:30 is our 5th annual Food Drive and Car Show at Corvette Mike Anaheim, CA. Save the Dates & Help People in Need! 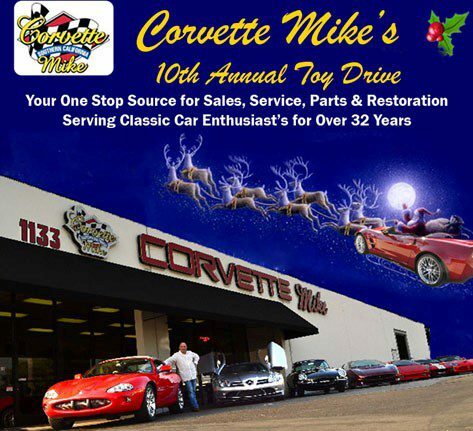 We are fast approaching the holiday season and Corvette Mike’s annual Food Drive, Toy Drive and Car Shows.